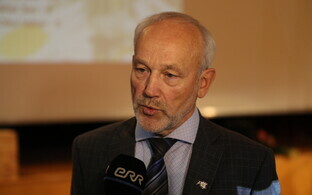 Leader of the Conservative People's Party of Estonia (EKRE) Mart Helme says there is no chance of his party being in government with the Social Democratic Party (SDE), the only other party to have seen a growth in support in recent months. 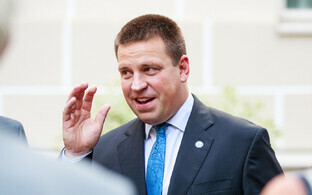 Mr. Helme stated: ''[SDE leader] Jevgeni [Ossinovski], we wouldn't form a government with you or your party under pain of death,'' on Tuesday, confirming an opinion piece on news portal Delfi and in response to former Prime Minister Taavi Rõivas (Reform), as well as to Mr. Ossinovski. SDE is a junior coalition partner. Reform, like EKRE, is in opposition, though with far more seats (30 to EKRE's 6 at the Riigikogu). ''Mr. Ossinovski may well talk about values, but we too have values; some SDE values preclude us from doing business with them,'' Mr. Helme went on. The values espoused by SDE running counter to EKRE's, Mr. Helme stated, including promoting a homosexual agenda in society and schools, proclaiming modern post-liberal democracies as found in Europe as the highest level of human development, suppressing truths while elevating falsehoods to truthfulness, and effectively banishing dissenting politicians (such as Marine le Penn of France) to asylums as was the case with dissidents in the Soviet Union. 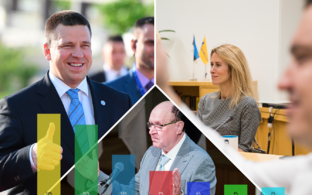 In theory, any political party in Estonia could get a majority at the Riigikogu with 51 or more seats from the 101-seat Riigikogu, but in practice this doesn't happen and coalitions with parties from opposing ends of the political spectrum are the norm. The current coalition has only 51 seats. Centre is no longer a pariah party so far as being a coalition partner goes, following the departure of Edgar Savisaar (who spent much of 2017-2018 embroiled in a corruption case at Harju County Court); Isamaa /Pro Patria has done just that, together with SDE as noted. However, EKRE has previously stated a determination to go it alone. 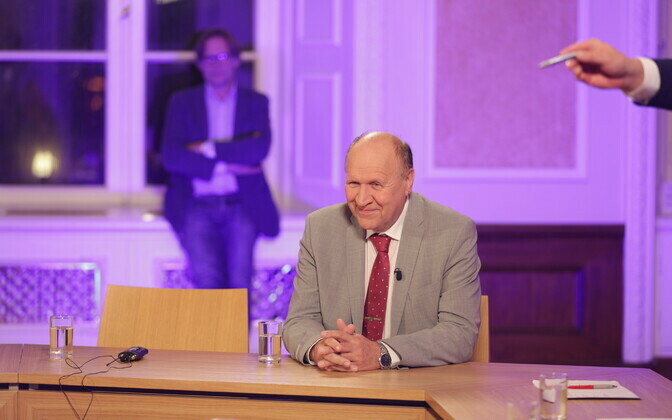 ''Kaja Kallas is a wallflower who won't be able to clinch an outright victory, but since the same will be the case for the Centre Party, the two could no doubt be in coalition together,'' Mr. Helme went on. According to poll ratings, EKRE are running third in popular support behind Reform and Centre, and along with SDE has been seeing a rise in support of late, going against the trend for most parties. 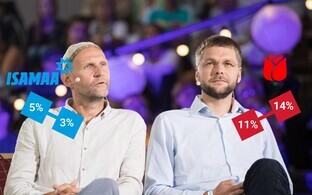 Centre support has been falling amongst its traditional bread-and-butter voter base amongst the Russian-speaking populace, though an improvement amongst Estoninan-speaking voters has compensated for this. Reform's earlier support gains have stalled more recently, with Pro Patria and Free almost on a life support machine at present. 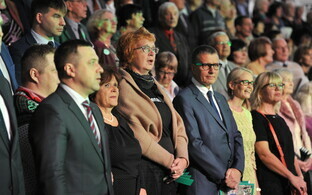 Of the remainder, the Green Party are unrepresented at present in the parliament; two new parties, Estonia 200 and the Biodiversity Party are yet to be tested. 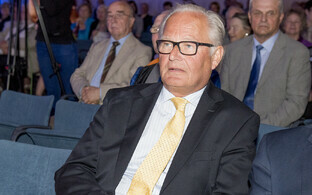 Meanwhile historian Jaak Valge has joined EKRE, Mr. Helme also said on Tuesday, Mr. Valge, a member of the Artur Sirk memorial society, hinted at the move in July. Artur Sirk (1900-1937), whose memorial unveiling Mr. Helme attended on Tuesday. was a member of the 'War of Independence Union', better known as the 'Vaps' movement (Estonian: Vapsid), a short-lived veterans' organisation in the 1930s. With Konstantin Päts' and Johan Laidoner's effective seizure of power in 1934, the Vaps movement was effectively outlawed. Sirk died in suspicious circumstances after falling from an upper storey window in Luxembourg, possibly a result of suicide. 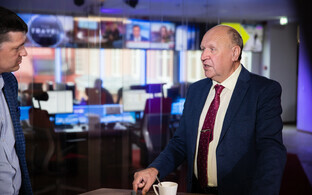 Mart Helme is due to appear on Estonian-language ERR current affairs show ''Live from the News Building'' (Otse Uudistemajast) on Wednesday at 11.00 EEST.